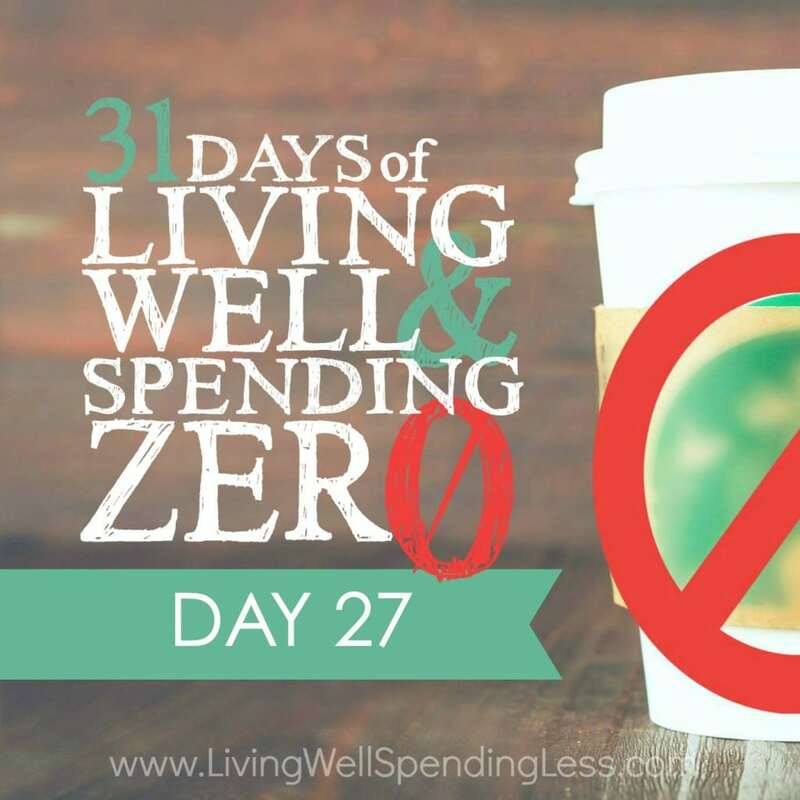 This is the twenty-seventh day of our 31 Days of Living Well & Spending Zero challenge. Start with Day One here. Believe it or not, we are rapidly approaching the end of our 31 Days. How have you done? Can you believe you’ve made it for almost four weeks without spending? To celebrate, I think it is high time we plan a little family fun. 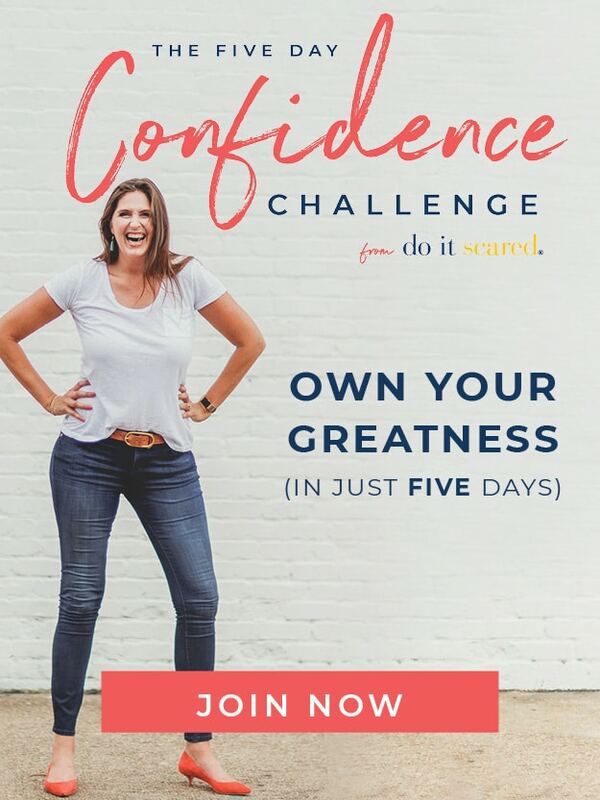 Even if your kids are great at entertaining themselves, by Day 27 of the challenge they’re probably starting to get just a little antsy for activities and fun! I was surprised at how well my kids adapted to the challenge. They really were on board and helped keep me on track. Still, it’s not always easy on the kids, and if your experience has been anything like mine, I’m sure you’ve had to say no more than a few times. There are plenty of free activities you can do as a family. In fact, kids have the best imaginations and creativity and can be satisfied with very little. I’ve seen my girls play dollhouse with homemade furniture and Barbie dresses made out of Kleenex … for hours. To kick-start your planning, though, check out this list of ideas for free family fun. Play a “chore cards” game—okay, so maybe doing chores doesn’t scream “family fun,” but this is actually a great way to get your kids to enjoy participating in housework. 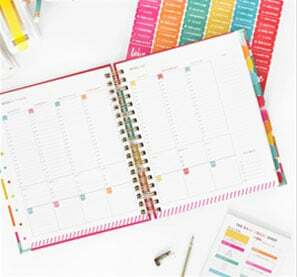 Take a deck of cards and write one chore task on each one (i.e., unload dishwasher, vacuum living room, dust bookshelves). Gather your family members at the table, shuffle the cards, and deal them to everyone until there are none left. The cards in each person’s hands are the chores they must do, but everyone is allowed to trade cards (and tasks). The first person to finish all their chores wins! Build with Legos—most kids love Legos, but even more so when their parents join in the fun. Working together to build something big, like a castle or a city, is a lot of fun and helps your kids improve their construction skills by learning from you. Play hide-and-go-seek—our family has had some of our best and funniest moments playing this simple game. It works indoors or out with all different ages. Be warned, though—it can go on for hours! Rake leaves or do other yardwork—working outside together as a family can be incredibly satisfying. Get your kids to help rake leaves, then have fun jumping in them together. Shovel snow during winter, or plant flowers together in the spring. In the summer, watering the garden can turn into fun running through the sprinklers! 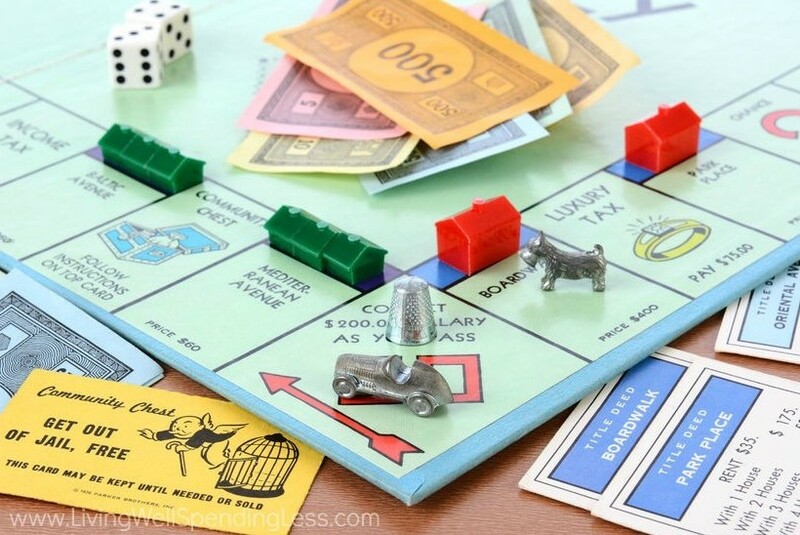 Play board games—age-appropriate board games are a great way to spend an afternoon. Added bonus? Teaching your kids all sorts of important and essential life skills such as problem solving, sportsmanship, math, reading, and more! Our current favorites include Candyland, Cootie, and Qwirkle. Keep your eyes peeled at garage sales, or ask friends of older children if their kids have outgrown any games. Do a puzzle—depending on your kids’ ages, break out a “hard” puzzle—100 pieces or more—and spend a few hours working on it together. Build a fort—grab some old blankets and sheets and spend the afternoon creating a super cool hideout with tables, chairs, and other furniture. Or build an outdoor fort with brush, branches, leaves, or rocks. You can even add some Christmas lights for extra ambiance. Go to the beach—the beach is a lot of fun whether it’s hot and sunny or not. Collect shells, run from waves, build a sand castle, or dip your toes. If you don’t live near the ocean, try a river, lake, or pond. Explore the water and see what you can find! Make homemade Play-Doh—let the kids help with the process of making Play-Doh , and then spend the afternoon making your own dough creations. Use a rolling pin and cookie cutters for even more fun. Have a cooking decorating contest—let the kids help with the baking, then gather a variety of icing and other cookie decorating supplies and see who can come up with the most creative design. Award prizes for different categories—most creative, most beautiful, funniest, sweetest, and so on. Go for a bike ride—explore an area of town close by your house, or bring your bikes to a popular bike trail. Do an upcycling project together—this is a great way to create something useful and teach your kids about recycling and reusing. For ideas, show your kids the awesome upcycling projects from Day 18, then decide what to make. Let them help gather the supplies or check for free stuff on Craigslist, and then get to work. Do a family art project—break out the crayons, markers, and paints and a large canvas or paper and go crazy! You could do something more structured like this handprint family tree or this fingerprint heart , or simply just let your kids lead. Visit a free museum—lots of community museums offer free admission days. Check your local chamber of commerce website for ideas. Do a free craft project at a local hardware store—both Home Depot and Lowe’s offer free kids’ workshops. Home Depot holds theirs on the first Saturday of the month while Lowe’s offers one every other Saturday. Check with your local store for details. Make a time capsule—fill a box with mementos from your life right now—pictures, trinkets, letters to yourself, and so on. Then seal your box and either bury it or put it away some place where you won’t open it for ten or twenty years. Make homemade gifts—making gifts together is a great way to teach your kids about the joy of giving and the importance of giving from the heart, not just giving “stuff.” Brainstorm some ideas for useful or thoughtful gifts you can make together and then get busy! See Day 16 for some crafty ideas. Do a funny photo shoot—gather dress-up clothes and any crazy hats, scarves, and other funny accessories you can find and set up a photo booth. Take turns taking pictures of each other looking wacky, or set up the self-timer and get some silly family photographs. Have a Wii Bowling tournament—break out the old Wii Sports games you haven’t played in years and have an old-school family bowling tournament. Make it an event by serving bowling alley inspired grub! Visit a free local festival—check out your local paper or community website to find out what free events are happening in or around your town. Watch a Dock Dogs competition—if you’ve never watched these amazing dogs leap off the dock, competing to see who can jump the farthest, then you’re missing out! Competitions are free to watch. Check out the Dock Dogs website for an upcoming event in your area. Have a garage sale—entice your kids to help by letting them keep the proceeds, or promise to use the money for a fun family outing. See Day 22 for more tips. Go to the library—most libraries have great kids’ sections with books, games, and free events or story time. Many libraries also often host summer reading contests where your kids can earn prizes for the reading they do every day. Go fishing—if you don’t have the right equipment or know-how, try asking a friend or family member who does to give your family a fishing lesson. Who knows? You might even come home with dinner! Depending on the ages and interests of your children, you may need to adapt a little. (Teenagers might need different motivation and activities than an adaptable seven-year-old.) Don’t let that keep you from having a great time with the whole family! 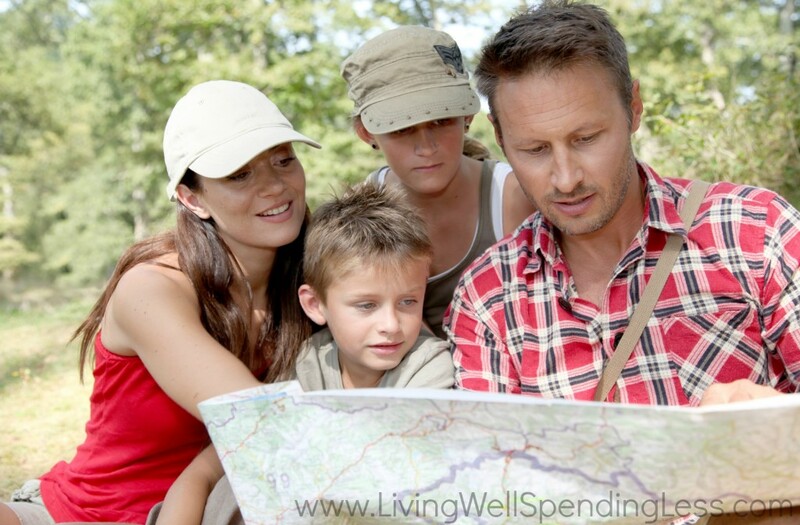 Your assignment today is to spend time as a family doing something totally new that you’ve never done before. Get creative and find something free that you can all do together!